The eclipse, which is expected to occur on the 21st of August, is on track to be the largest event in the history of tourism in Nebraska. The last solar eclipse occurred in the United States in 1991, and the next one is set to occur in 2377. Photo credit: shutterstock.com. August 21st, 2017 will be a day many people in Nebraska will not forget for years to come, thanks to a solar event that is being dubbed “an experience of a lifetime”. It is the first total solar eclipse to occur in the United States since 1991. A solar eclipse takes place when the moon aligns itself between the sun and earth. 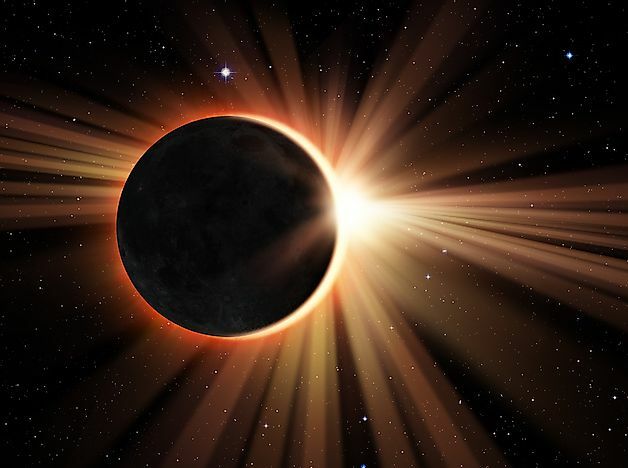 A total eclipse takes place when the moon aligns perfectly between the sun and the moon and appears to completely block the sun despite its diameter being 400 times smaller than that of the sun. According to scientists, Nebraska expects to experience the next total eclipse in the year 2377 and 2427 as a total solar eclipse can only happen in one particular region after every 360 years to 410 years. Scientists can predict future solar eclipses through complex calculations and therefore predicted the Nebraska eclipse several years ago. The eclipse is expected to be the biggest tourism event in Nebraska’s history. According to the Journal Star, Nebraska is expecting to host between 117,000 and 466,000 people who intend to get the “once in a lifetime” experience of viewing the solar eclipse along its 468-mile eclipse path through the state. Nebraska State departments will have their work cut out for them in handling the huge crowds. Hotels and campsites in the entire state have already been fully booked, and Nebraska Game and Parks have established temporary areas where visitors can put up primitive camps. The biggest headache will lie with Nebraska’s Department of Transportation as well as The Nebraska State Patrol who will have to control the flow of traffic. According to KETV, the task at hand will be enormous, but state agencies have had months to prepare for any eventualities. The state has procured extra state troopers to handle the traffic while three aircraft will offer aerial assistance. The Department of Transportation also intends to reduce the number of maintenance projects being conducted on that day to facilitate the smooth flow of traffic. The transport departments will place most emphasis on Interstate 80 which lies through the eclipse path.